This a a film to stir your blood if you have any sense of injustice. Regardless of your faith or political leanings, the history of harsh treatment of pregnant young women in Ireland in the first half of the last century is not a happy one. Whether it was the horror show projected by “the Magdalene Sisters” ( a film that has received much criticism for it’s accuracy) or the more mundane heartlessness of the abbey shown in this film, it does appear that strict moral adhesion to a philosophy was emotionally cruel. This film is actually a pretty sad story despite the humor that is highlighted in the trailer above. There are moments of levity but at it’s heart, the film concerns the indifference of a couple of institutions to the people that they serve. The first of those institutions are the convents that took in women abandoned by their families and then misused them. I have not done enough research to know if this is just typical Catholic bashing or if this was standard operating procedure. I do believe that the film shows a strength of faith by the title character that would be hard to preserve if there was not a foundation of goodness somewhere. From a more modern perspective, unwed pregnant women are not something to be hidden away and their children taken from them. From a perspective of the times, it might seem that the children were given treatment in their best interest and that the expectation that the women would simply accept the results was normal. What is not normal is the desire to cover up past sins when relevant information is deliberately withheld. I watched and was unhappy when the children were taken, but I did not see that as an act of evil. Later in the story, when we discover that at least some officials in the hierarchy deliberately withheld information from parents and children, the shroud of evil is draped on those characters. The way the story is revealed in the film seems to be dramatically effective, regardless whether it is accurate or not. The second institution that is criticized here is the world of journalism. 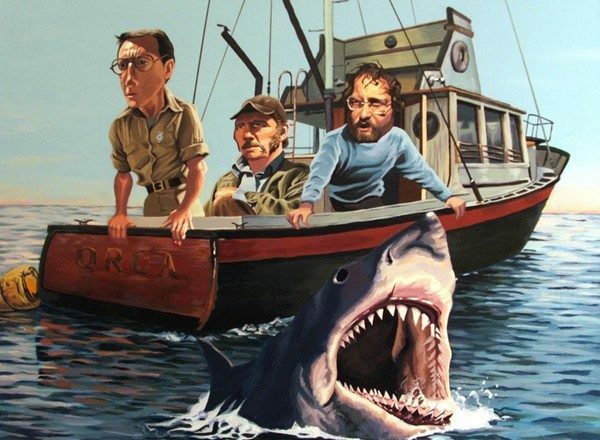 The author of the book that the film is based on is portrayed as the lead character of the film. The screenwriters have not been shy about displaying his flaws as a human being. As an outcast from the privileged class of journalists at the high levels of government, he seems to have disdain for the idea of a human interest story and for anyone who would be interested in reading one. The pompous fall back of writing Russian history after a fall from grace might make him seem less of a failure from the class that he sees himself in, but it was clear that the rest of the world had little use for it. The nice part of the story is that he is forced to recognize that there is worth in the stories of others who are not czars, commissars, or members of an oligarchy. Judi Dench is marvelous as the elderly woman seeking her lost child. She conveys a rueful manner at those times that the imagined image of her child appears in her mind. She is also a peppy retired nurse with simple enthusiasms and a warm human nature. I know people who speak to the employees of a restaurant or hotel and make friendly conversation. They sound very much like the chipper Philomena Lee does in those sequences in Washington D.C.Where the misanthropic and jaded journalist sees a person of pitiful or limited imagination, most of us would see a warm hearted soul, willing to share something of herself and learn something from others. Although it is not the journey that will get the most attention, the story of the journalist is just as significant to the film as that of the mother trying to find the lost child from her past. 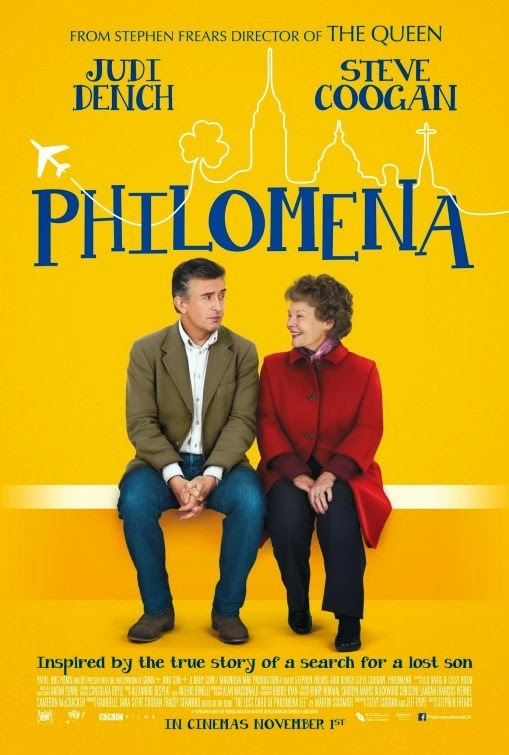 Steve Coogan plays the writer Martin Sixsmith and he does a good job of reflecting his conflicted loyalties to his journalistic roots and the feelings of his newly acquired friend Philomena Lee. The flashback sequences to the 1950s Irish Convent feel authentic in tone and they certainly look like they might have been filmed at a location where time has stood still. 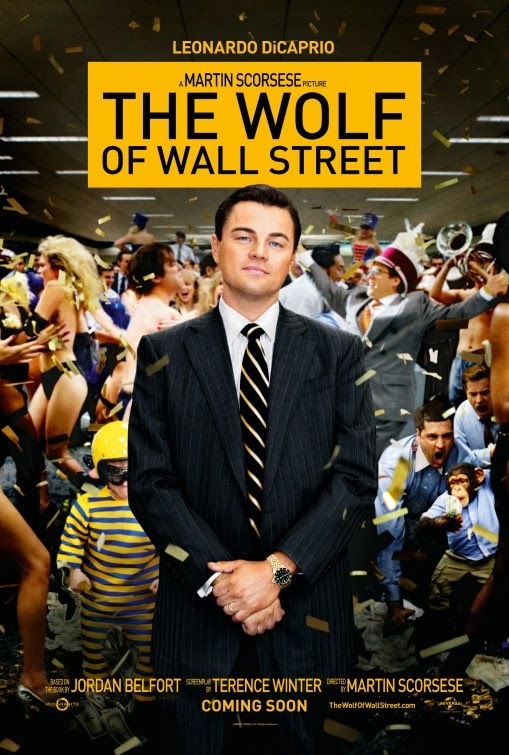 The film is well made and tells the story efficiently, although it does tend to take a couple of political shots, those are largely minor sucker punches that anyone could expect from the authors point of view. There are elements of the final resolution with the adopted sister and the long time lover that I thought needed to be expanded upon, but on the whole it was a rewarding experience for the acting talents and the sad set of stories that make up the whole purpose of the film.